Ready for another installment of my Best Practices series? I can’t believe I have stuck with this series for six weeks now! I have worked as a paralegal for so many years (17! ), and I’ve always found it important to have the right resources at hand. This carries over to my creative world too. There are lots of resources available, from books to magazines to the Internet. I especially love using the Internet and fellow bloggers for resources and inspiration. But I also like to have the actual books and magazines when learning the terminology, materials, tools, new techniques, and just looking for inspiration. Finding what works for your needs can be fun. A couple things I like to look for in my resources: high quality pictures and illustrations (eye candy! ), useful tips, intermediate to advanced techniques, and a variety of fresh, modern projects. 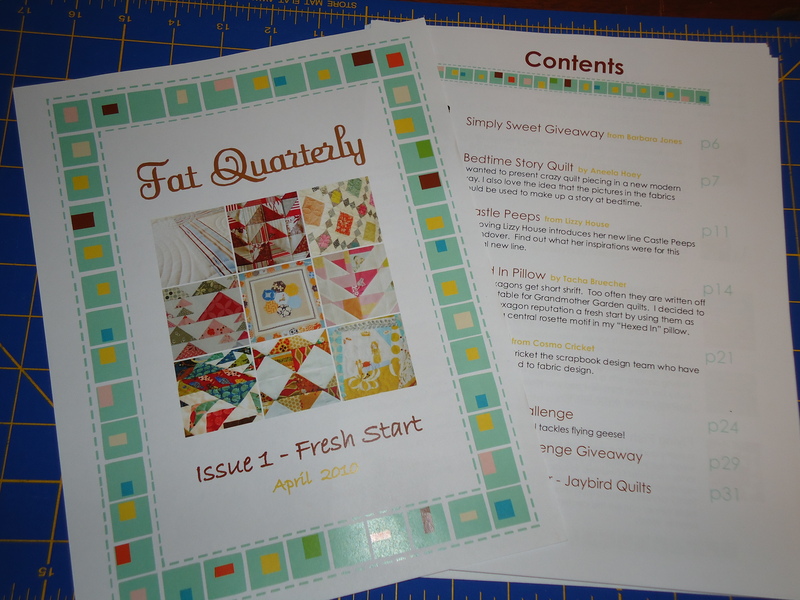 When I first learned how to quilt in 1999, I took formal classes at the local quilt shop. I guess I was lucky to have access to such a fabulous shop because so many people nowadays seem to be either self-taught or are learning from free sites on the Internet. I’m a visual learner, so I like to hear and see the steps done and then try them myself. Anyway, after those classes, I bought this quilting encyclopedia to have by my side as I made quilts on my own. 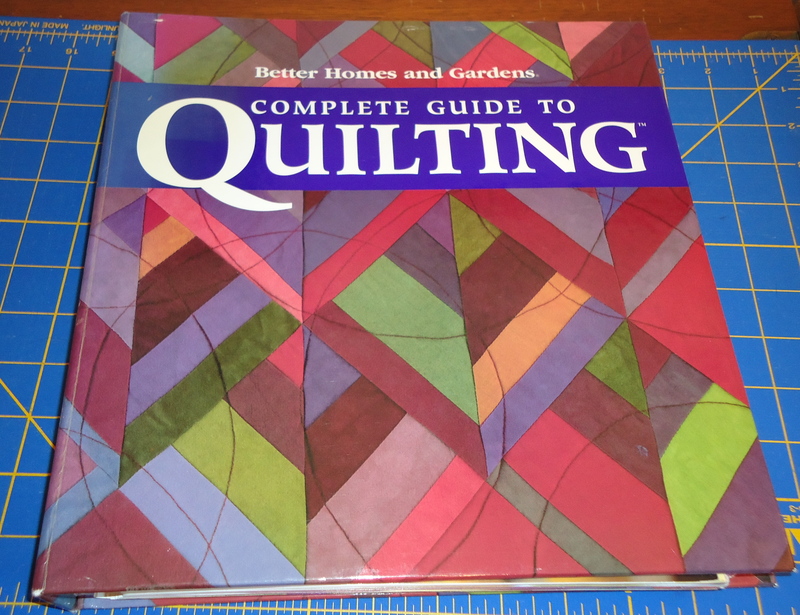 It’s an older book, but still great reference, from tools to techniques to piecing to quilting. 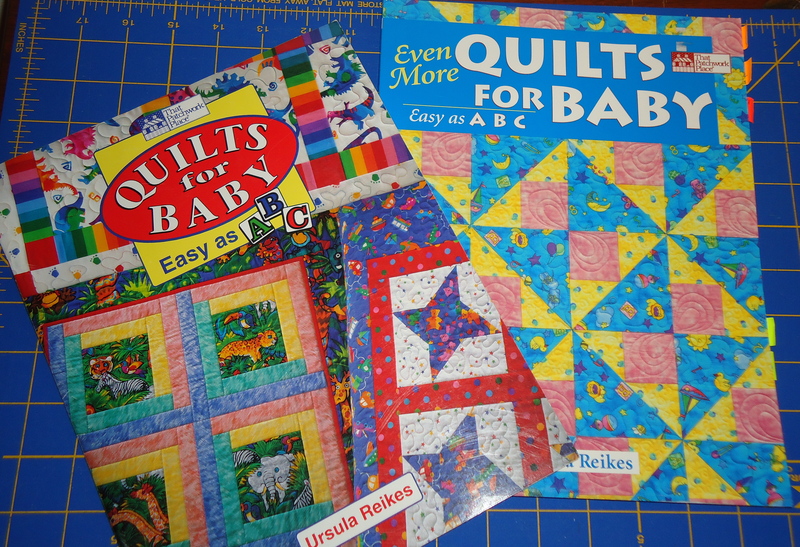 I progressed to using baby quilt books, since they provided easy to follow instructions for great projects. These days, my sewing interested have expanded from sewing quilts to patchwork goods for our house and bags and clothes. 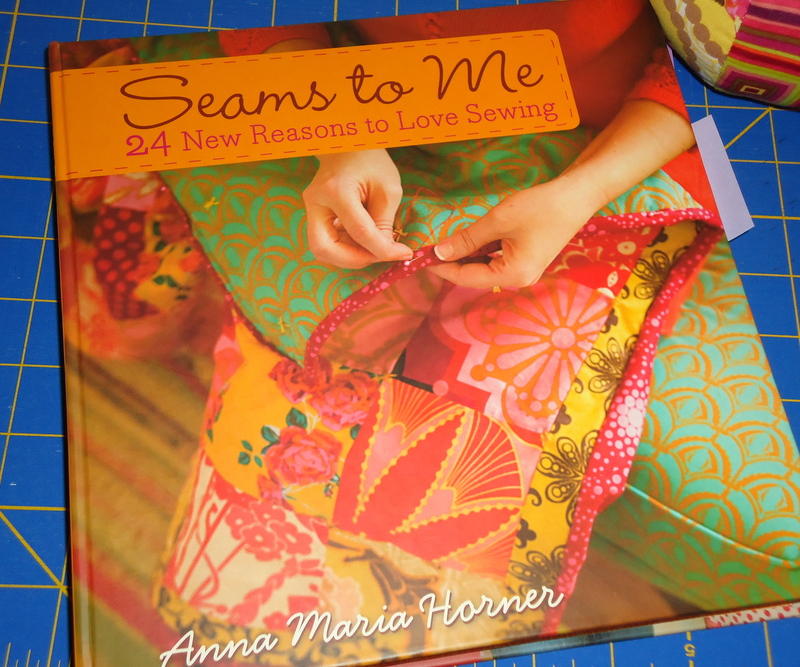 Who doesn’t love Anna Maria Horner’s Seams To Me sewing book?! Every girl has to have this on her shelf! 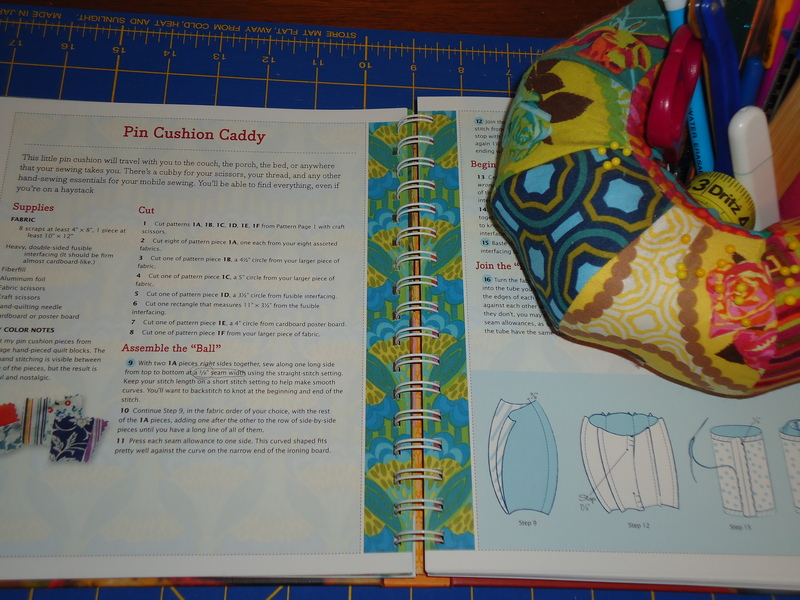 I love the basic sewing techniques in this book to guide you through the charming projects that will stretch your sewing skills beyond of quilting. I adore Anna Maria’s voice and perspective – fun and free. There are no rules here; just guidelines to help steer you in the direction of success with your modern projects. I also especially like that this book is spiral bound so I can lay it flat. 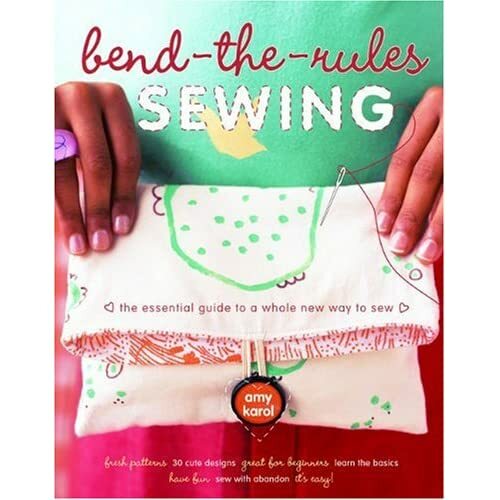 Another sewing book I love is Amy Karol‘s Bend-the-Rules-Sewing book. It’s full of clever, modern projects with a fresh twist, from bags to aprons to table linens to aprons. I love her illustrations, and the multiple pictures or ideas she presents for each project. I learned how to knit and crochet when I was about 10 years old, but I ended up setting crafts aside while I was in college. 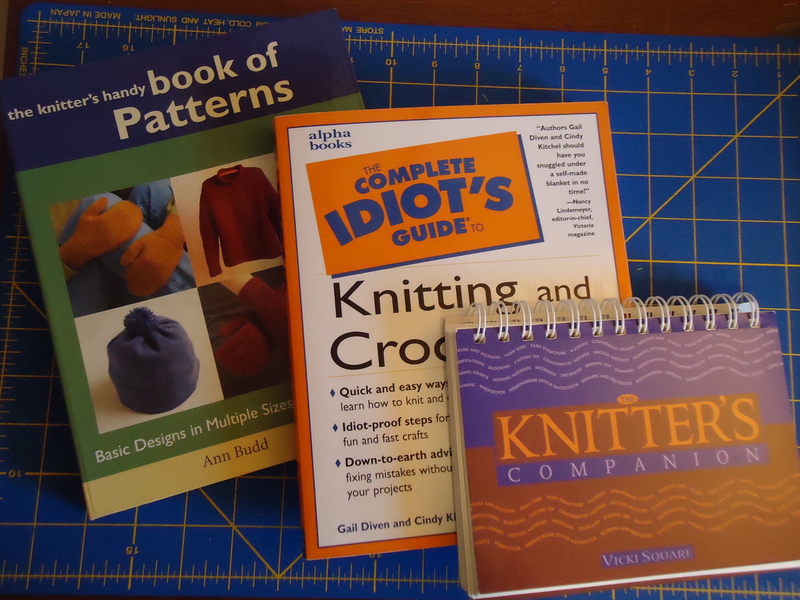 I relearned both knitting and crochet over 10 years ago, so I bought a couple reference books to have on hand. 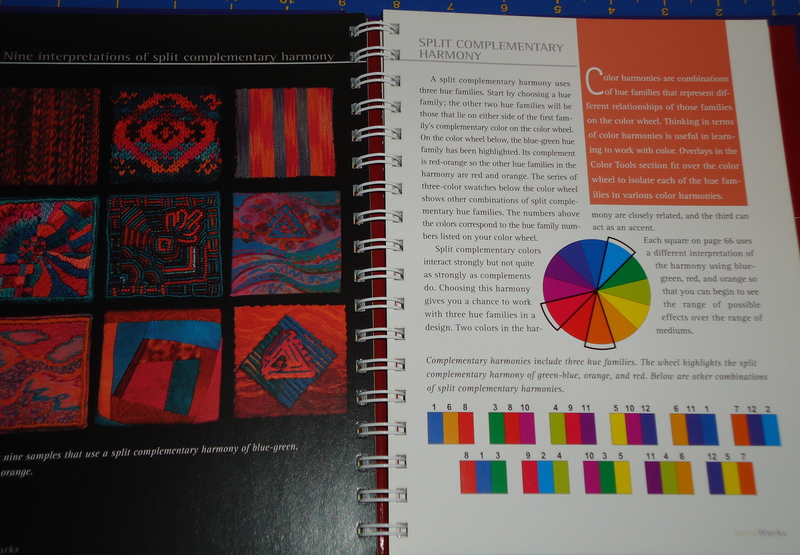 My absolute favorite resource book is the Knitters Companion because it serves like a mini encyclopedia (or a paperbook version of Google) when I get stuck and need to look up something quickly. 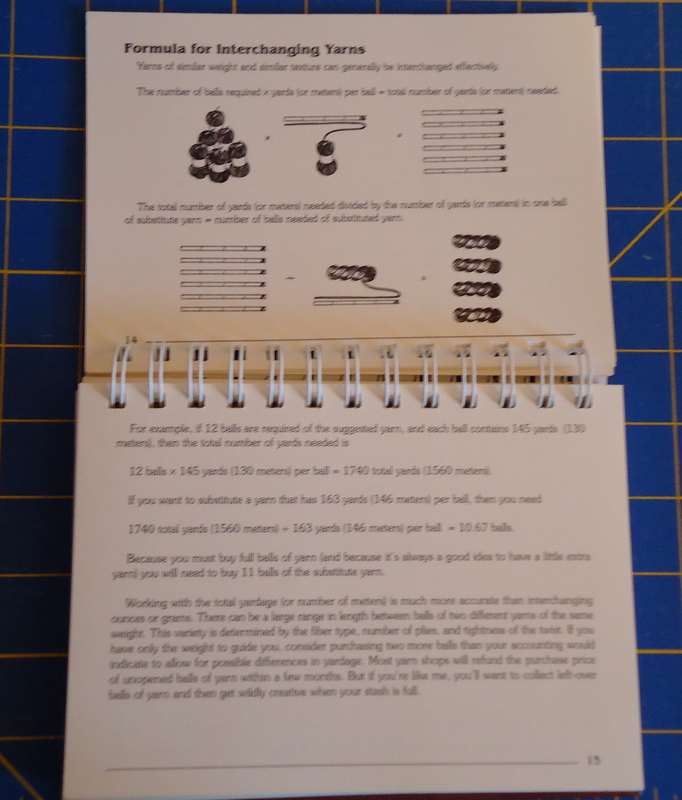 I also really like that it’s spiral-bound so I can lay it flat if I need to follow along. I always need help figuring out how to interchange yarns, since I often don’t have access to the yarn used in a pattern. So I especially love those particular pages! I used to do more embroidery and needlepoint in years past. At one point, I had to narrow down my hobbies, which is mainly sewing these days. 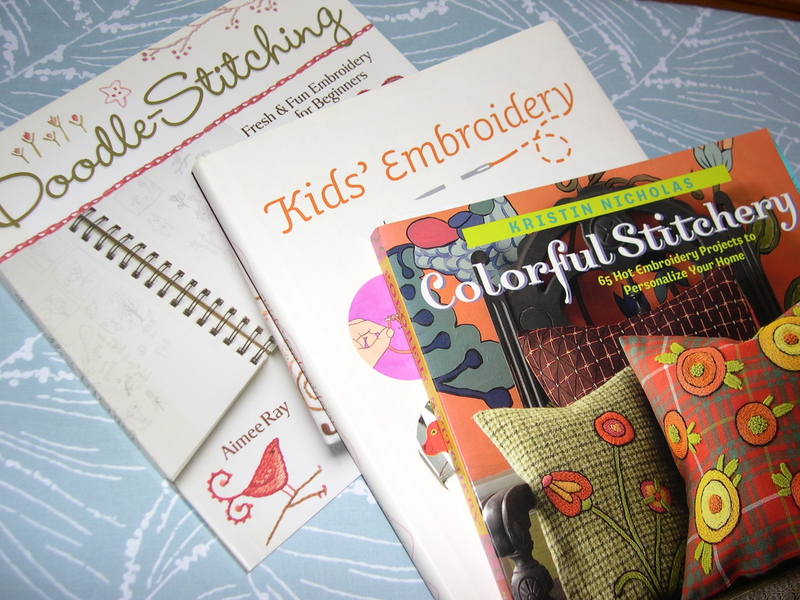 But I was so happy I had these reference books on my shelves when I made my mini friendship quilt for my recent blog giveaway. I needed a refresher on how to stitch words and flowers. 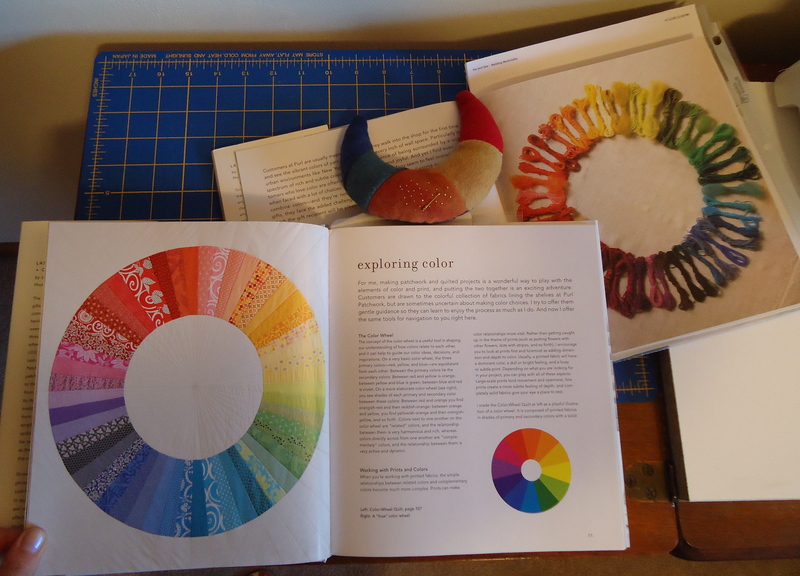 I think we would all agree how much fun it is to learn about the color wheel, how to use it, and how to make projects with the color wheel in mind. I love the color exploration sections in Joelle Hoverson’s books. She provides a simple yet artsy narrative on combining various colors to achieve a different feeling. I found this cool book at the local yarn store. 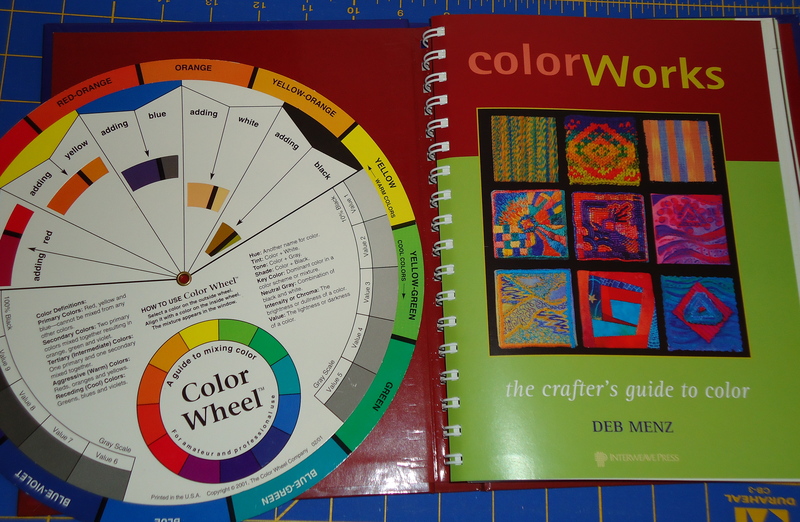 I haven’t had much time to spend studying it, but it has amazing examples of different color combinations based on how you turn your color wheel. 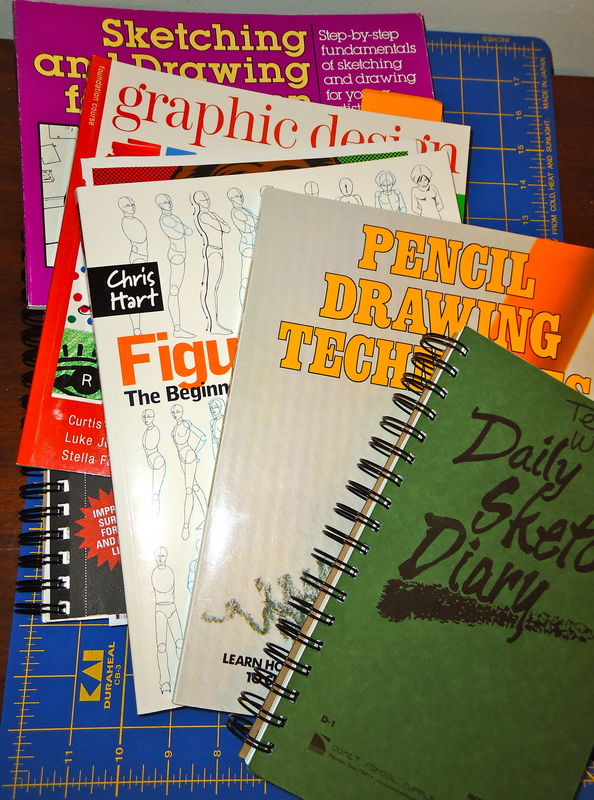 I also have a pile of drawing and design resources, but I haven’t had much time to spend on those art techniques since the design and drawing classes I took last year. I know, there are zillions of great craft reference books and pattern books on the market. I could write a separate post reviewing each one of these wonderful creative books. 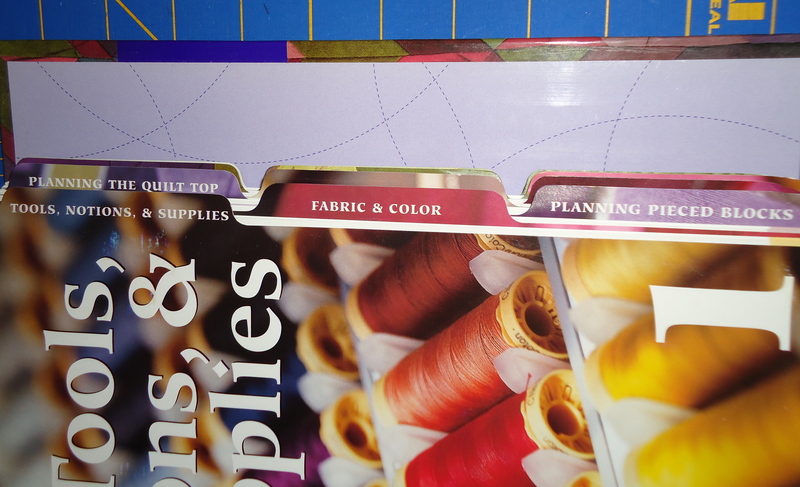 (I do have a couple new sewing books I plan to review soon, so stay tuned for more on that.) Having these particular resources on my shelves has given me access to techniques and inspiration right at my fingertips! Feel free to share your favorite resources in the comments or link to your blog. -Alabama Stitch Book (Chanin): Beautiful pictures, wonderful history. -ANYTHING by Jenny Hart: Great patterns, fun ideas. Anything by Kaffe: While I’m not such an adventurous person in my own quilting, the colors are quite inpirational. Thanks for all these “Best Practices” posts. I’m one of those “self taught” people you speak of! These are so helpful! Even though I’m getting to a point where I’m comfortable with myself and my projects, it is really nice to see how established quilters and sewers work! This is a great list, Joanna! Thanks for sharing! I have the Weekend Sewing book but haven’t made anything from it yet. What have you made so far? Love to see some of your favorite resources. Dearest terri, such an inspirational Best Practice series! I am loving it so far! These are wonderful resource books! I have a few similar books too! I am glad i am not alone in having lots of books especially craft books! Thanks so much for sharing! I will and must go through all the links! Have a lovely merry happy day and love to you! I love your Best Practices posts…and what wonderful inspiration here today! Can’t wait to get my copy of Stitch! Great post! I love the books in your library. I have a couple of the same books. Your Pin Cushion Caddy is cute. I have looked at that project many times. I have to make it. I also like you pincushion on the color wheel books. Did you make it. You’re an inspiration!! we have lots of the same inspirational book/magazine choices! i just adore having them around to look at … always find something i want to do! Love your inspiration. Alot of those books I do have and I think I even need to look at those books again. They are very helpful. Books and magazines are so great for inspiration! I used to buy a few too many, though. Now I usually check them out of the library first and then buy the ones I really want/use a lot. And there are so many more online tutorials and resources than there were even a few years ago. So much great information and inspiration. Love your Best Practice post Terri, so much inspiration and some great books. 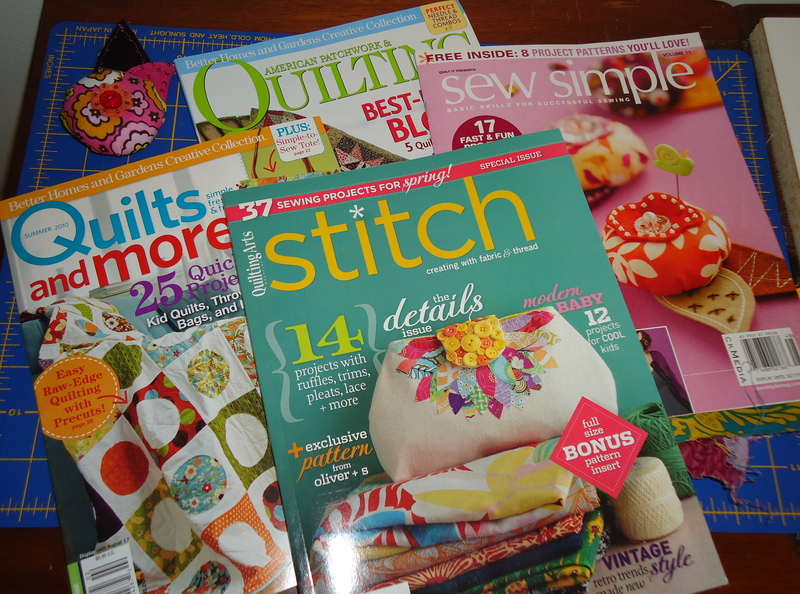 I want to get my hands on both the Quilts and More and Stitch magazines. I recently bought a Kaffe book and I’m loving it. His quilts are spectacular imho. Have a lovely week!! Is there any way I can persuade you for a copy of the pincushion caddy pattern from Seams to Me? Please:)! !